Pullman Dubai Deira City Centre hotel, the unique upscale five-star hotel at the heart of Dubai, carries the brand’s ideology of ‘Work Hard, Play Hard’, bringing business and leisure together. The past year witnessed major developments in the property and its services; such as the re-launch of the hotel after a renovation project of three years with an investment of AED135 Million, the launching of the new business and meeting facilities, and the commencement of the first Pullman Resident Artist initiative in line with the brand’s commitment to Contemporary Art. Pullman Dubai Deira City Centre hotel is bringing together all the services needed from a vacation getaway to business trips, making sure visitors needs are met in the most welcoming and hospitable venue in the city. The renovations bring to the property the feel of the brands DNA, contemporary, masculine, and cosmopolitan, reflected throughout the hotel in its new interior design through the contemporary art pieces and paintings found around the property. A newly enhanced hotel in the heart of Old Dubai, Pullman Dubai Deira City Centre is situated in Deira, Dubai’s heritage hub. The hotel offers the ideal venue to enjoy an authentic Arabian experience, shop and stay getaways, meetings that are kept upbeat with innovative break activities, and the contemporary art scene that Pullman surrounds itself with. All in one property, the hotel is ready to indulge its guests with its world renowned offerings from business to leisure. Contemporary art plays a big role in the brand and in March Pullman Dubai Deira City Centre hotel initiated its Pullman Resident Artist program, which will host artists throughout the year. The program will give the opportunity for a contemporary artist to exhibit at the hotel for a month and their opening night will be supported by Pullman. The event was inaugurated with contemporary artist Michel Bizet, who painted live in front of the guests and media to the melodies of solo violin artist Mohammad Hamami. As for the business visitors, Pullman Dubai Deira City Centre hotel knows how business needs are in constant development, understands the importance of providing the best services available in order to facilitate business needs. The launch of the business and meeting facilities earlier this year was a success. The nine meeting rooms span over 1,000sqm are furnished with the latest in connectivity technology, modern amenities, and innovative breaks. The Innovative Breaks concept came from the need for an energy boost during long meetings, providing out-of-the-box activities from sushi workshops with the chef, express massages, bubbly tastings, themed cuisine menus, to adrenaline pumping Wii tournament. After stints in French Polynesia, Saudi Arabia, South Korea and China, he made his move to the United Arab Emirates in 2009, opening the first Pullman Hotel in the Middle East, Pullman Mall of the Emirates Dubai. In April 2013 Chaudet took the role of managing the four-star City Centre Hotel for Pullman. The property had a rich history, as it was initially opened as a Sofitel Hotel a decade ago, then became City Centre Hotel Managed by Pullman where a three years renovation project took place. 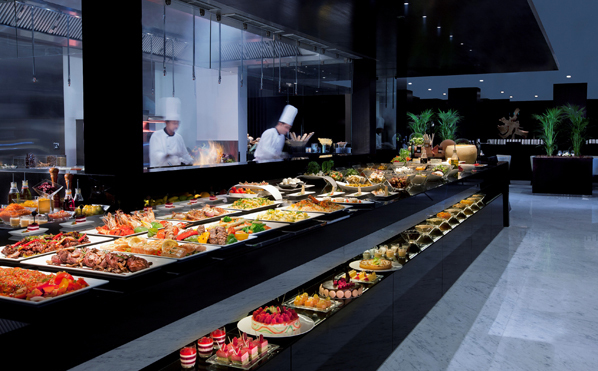 After the renovations, the hotel was fully branded as Pullman Dubai Deira City Centre in the fourth quarter of 2012. Bringing us to today, where Pullman Dubai Deira City Centre under Chaudet management has become a five-star hotel with a Silver Earth Check Certification. 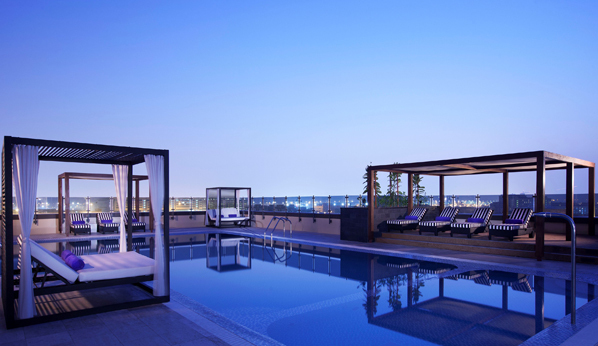 Pullman Dubai Deira City Centre is located in the Deira district, connected to one of the city’s largest malls. Close to Dubai International Airport, the location is popular among business and leisure travellers. 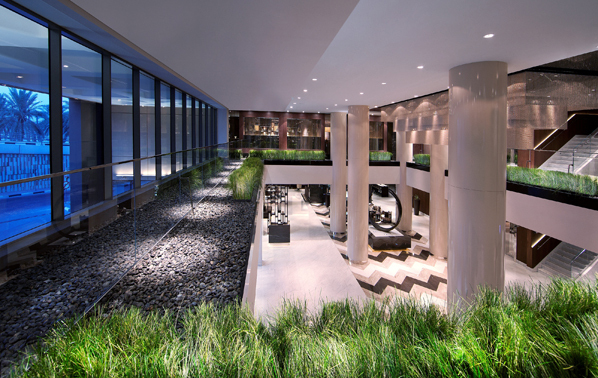 The hotel has undergone a complete refurbishment to reflect the brand’s creative DNA. Earlier this year the property was recognised as UAE’s Leading City Hotel by the World Travel Awards. Laurent Chaudet, general manager, Pullman Dubai, speaks to Breaking Travel News at Arabian Travel Market 2014.